This faux lace technique is one of those “wonder” moments I couldn’t wait to try. As a member of the Art Glitter Design Team I am responsible for creating several samples each month that demonstrate techniques for using Art Glitter product. The faux lace technique is one I’ve seen done several times over the years with mica powders. It occurred to me recently that it may work just as well with glitter so I couldn’t wait to get home and give it a try; when it worked I immediately wanted to share it with all of you! Start with a piece of black cardstock cut to 3 ¾ inches by 5 inches. Run 4-6 strips of solid tape next to each other across the cardstock. Uncap three to four jars of glitter. Take your finger and gently roll the tape in opposite directions to create a lace-like appearance. 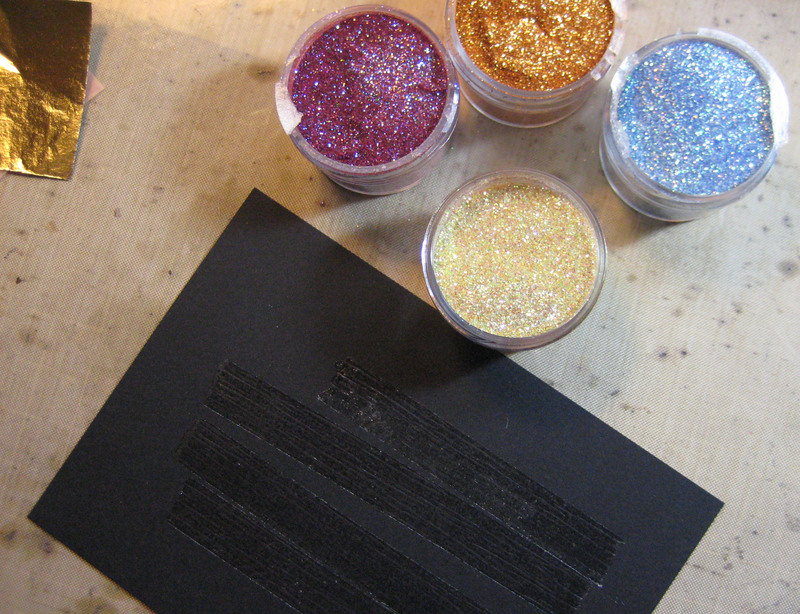 Randomly pinch very small amounts of the Art Glitter colors over the tape on the cardstock. Do not tip to remove access; leave the glitter-covered cardstock lay flat on your workspace. 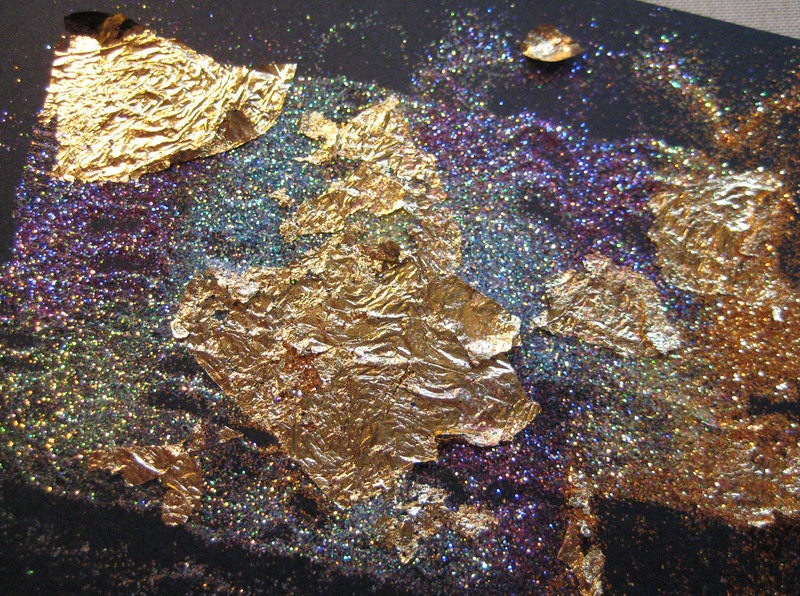 When glitter covers most of the taped area, gently tap on some pieces of gold leafing. The leafing will adhere to any remaining uncovered tape and add a bit of bling to your project. Gently rub leafing and glitters into any remaining uncovered tape; tap access off (save access in a separate jar and use as a party mix). 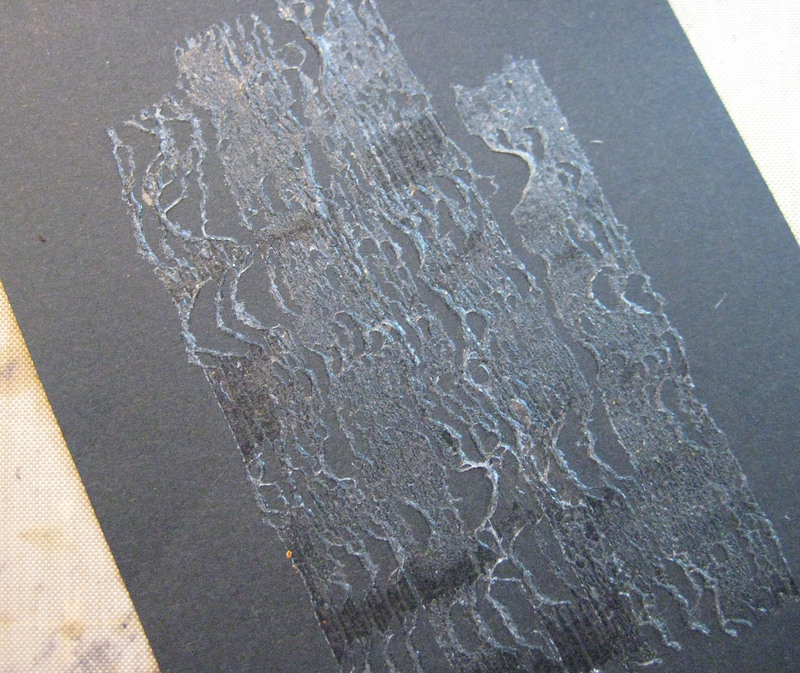 Cut a patterned paper (for backing) 4 inches by 5 ¼ inches. I used coral gold dot paper from the Coral Couture Stack from Die Cuts With a View. Cut teal cardstock to 4 1/8 inches by 5 3/8 inches. 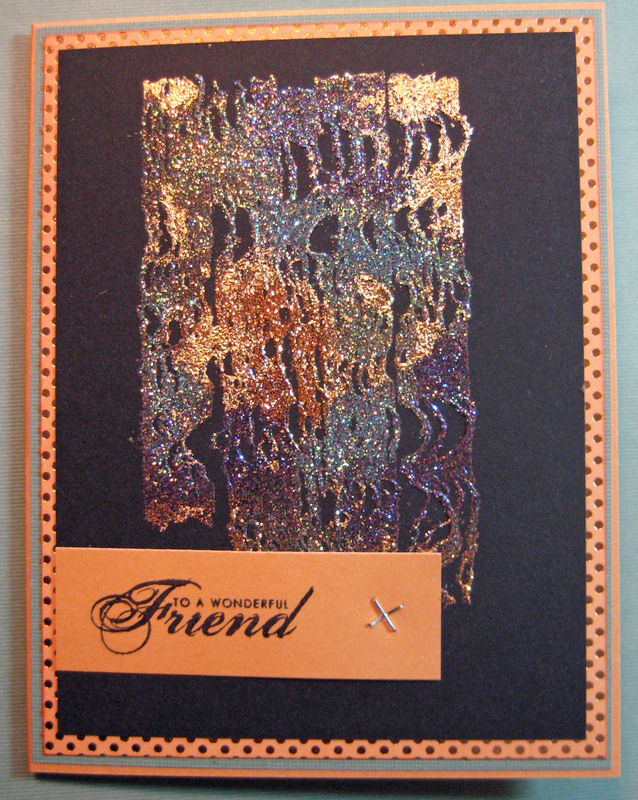 This, and the coral used for the card base, is both from the Die Cuts With a View Coral Couture Cardstock Stack. Stamp a sentiment in black Archival Ink onto a ¾-inch by 3 ¾-inch strip of the coral cardstock. 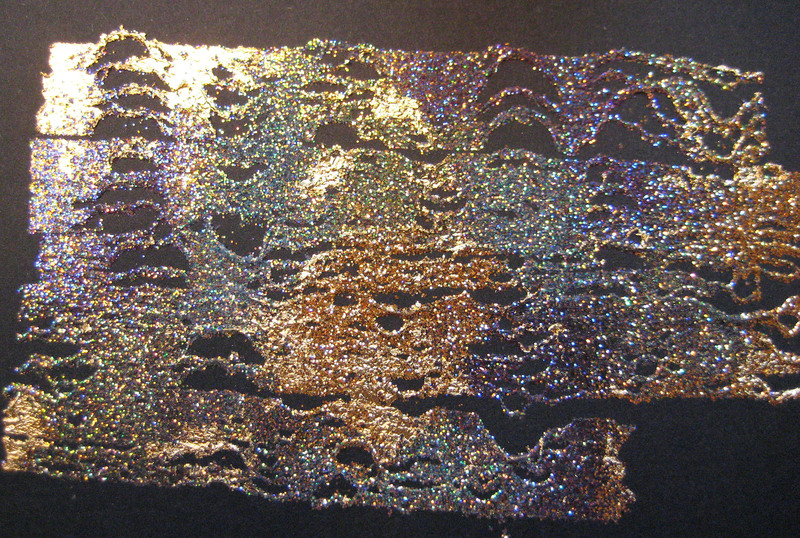 Attach with tape and Tiny Attacher to the glittered lace cardstock. Adhere layers together with tape and adhere to card base to complete the card. Give this technique a try – you’ll love how easy it is! Visit the Art Glitter Blog to see what other projects the Art Glitter Design Team has created. That is so cool LInda! Love it! 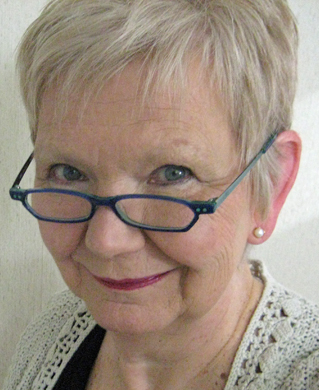 Am going to have to play…..you always come up with the best things. Thanks Robin! It was soooooo easy! Beautiful card, Linda. Guess I’m gonna have to dust off my glitter and play. Oh, and I love the Coral Couture papers & cardstock. Already bought both pads. Thanks for the inspiration. And, YES, get that Art Glitter out and play! This was so easy – I can’t believe I’m making cards!